My hair has been treated to a lot of work lately! Could a brush help that? 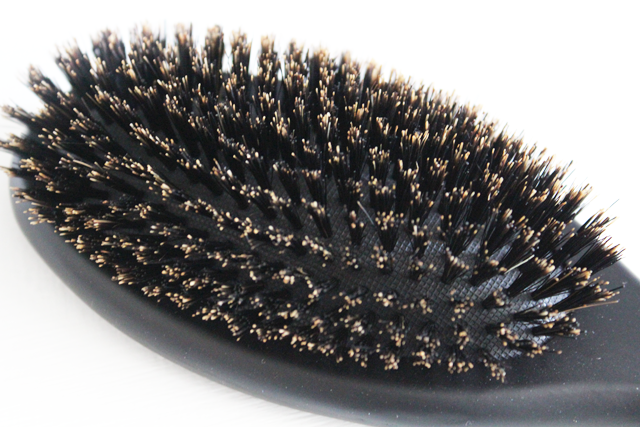 I think we sometimes forget that our brushes and combs are vital items when doing our hair. I own a few brushes for different things but my favourite one is my natural bristle large barrel brush and now that I have another natural bristle brush in my possession how does this hold up to my other brushes. The weight isn't heavy so it's not a pain to use, I've had some brushes that are quite bulky, heavy and I've clonked my forehead a few times on. No problem with this one! 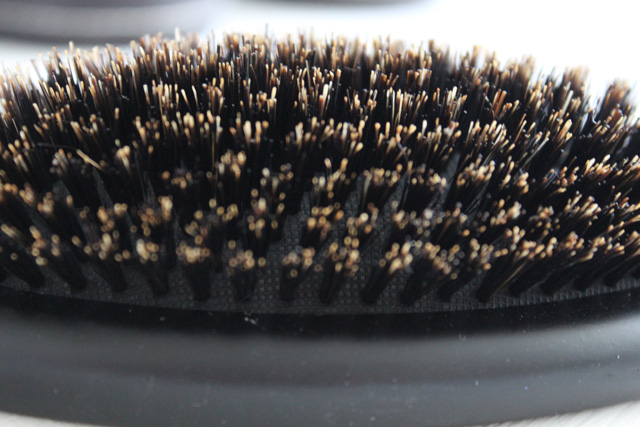 These bristles are quite short in comparison to other hair brushes so if your hair is thick I would suggest sectioning and pressing just a little harder to make sure you cover all the hairs. 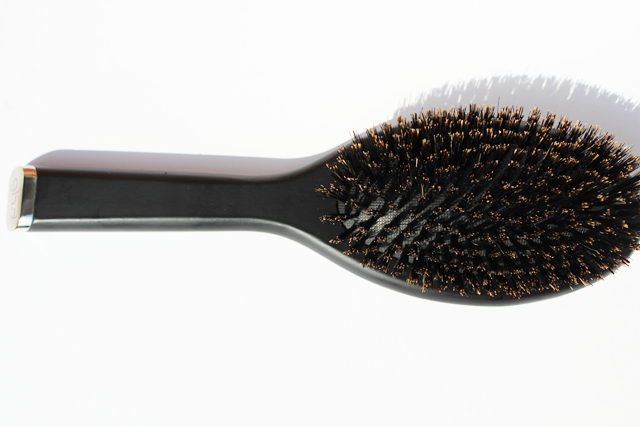 Flyaway hairs are tamed to give a slick appearance you can even spray hairspray onto the bristles to tame the flyaway's even more. 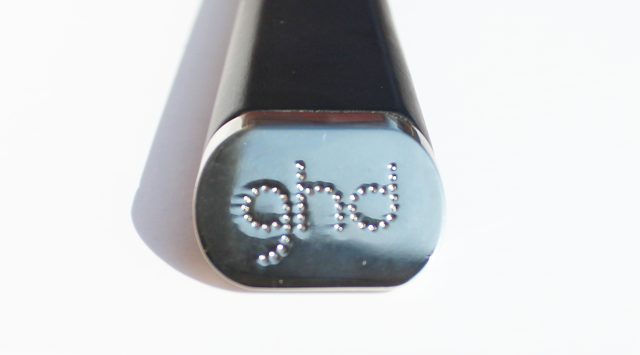 Making sure you brush from root to tip to stimulate the hair follicles and promote hair growth. 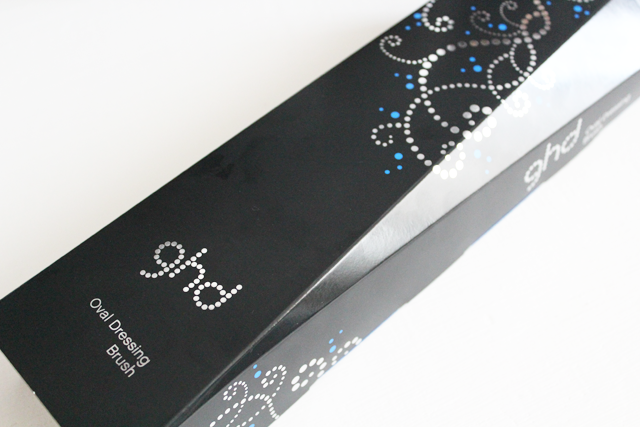 I used my barrel brush that has similar bristles to smooth my hair back but it wasn't practical but having this in my arsenal is handy to finish off any hairstyle in future.